This lavish 13.5 tog Polypropylene cased duvet and pillow sets are extremely marvellous. They furnish you incredible warmth and cosiness during winter season. Enveloped in polypropylene casing, our 13.5 duvet and pillow sets are matchless. Polypropylene is highly durable fabric that gives smooth feel to your skin. 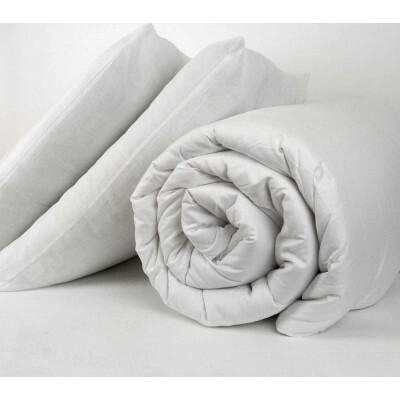 Bedding mill offer 13.5 tog polypropylene cased duvet and pillow sets in single, double, king and super king sizes. Pick the sizes that suit you the most. Our deluxe duvet and pillow sets are durable and machine washable at 40 degree Celsius.